​Enjoy the pictures below. Read and Listen to Christian Affirmations every day for 21 days. Learn to speak God's Word, and believe God's Promises! You will feel better and happier. God is ready to BLESS you! Christian Affirmations will help you to stay focused on God, and receive His many Blessings! All Affirmations are backed by a Bible Verse for further study. Affirmations work! The power of Affirmations has improved the lives of millions of people! The Bible says tha​t death and life are in the power of your tongue (Proverbs 18:21). If you CHANGE your words, you can change your life! Christian Affirmations are the most powerful Affirmations because you will be speaking God’s Word! You will be filled with faith and confidence. 21 Day Challenge – it is estimated that all habits are formed in 21 consecutive days of doing something. Read and speak all of these Affirmations for 21 days. Motivational Words will become a part of your life in a new and exciting way. You will be blessed and encouraged as you begin to memorize all of the blessings that God has for your life! Be encouraged daily with Christian Affirmations! 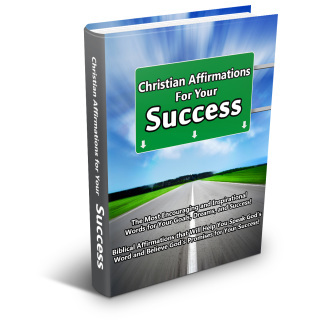 You can read the Christian Affirmations for Success every day for 21 days. Learn to speak God's Word, and believe God's Promises for your life! Positive Affirmations will help you to improve your ATTITUDE and your ACTIONS. Affirmations will help you to stay focused on God's Purpose for your life. 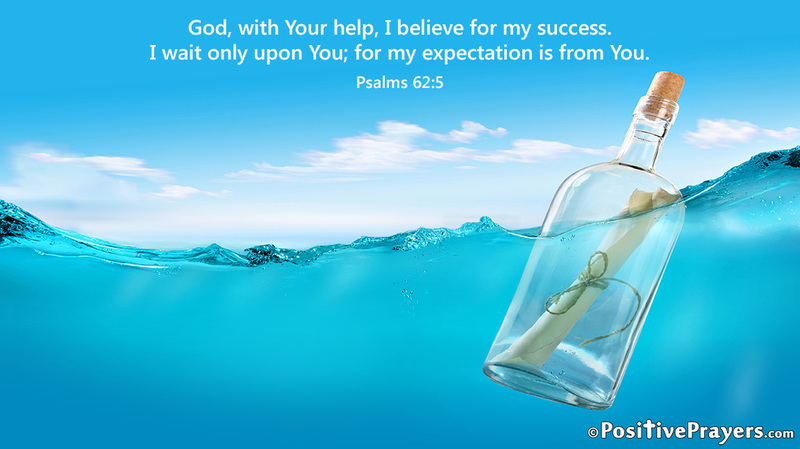 Let God help you reach your Goals and Dreams! You can do much more with God than without Him. With God, all things are possible! In the beginning you make your habits. In the end your habits make you!